Canvas Signing Boards for Weddings! 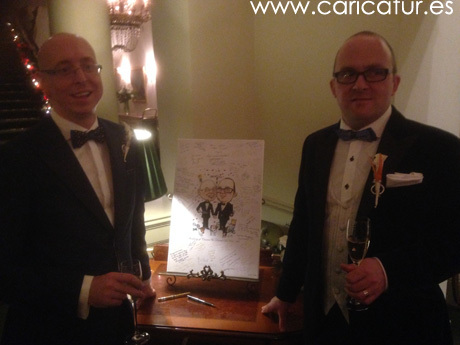 Wedding Caricature Signing Board: Wales Meets Ireland! 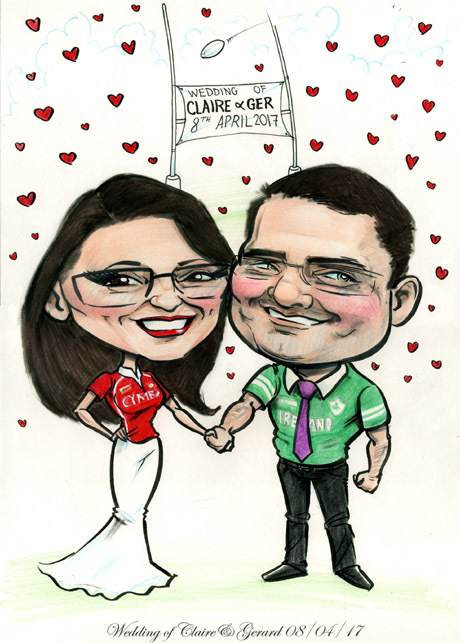 A fun rugby-themed wedding caricature for this recently married couple! Monaghan and Kerry, Kettlebells and Cavalier King Charles! Lord of the Rings and Interior Design! 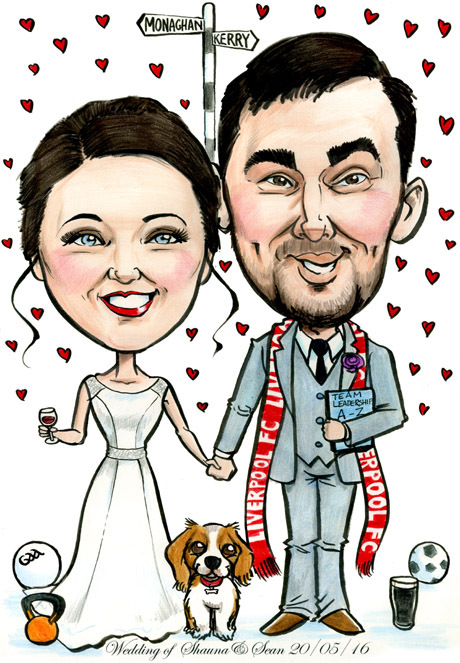 Here’s the caricature artwork from a signing board from a wedding earlier this year. You can see the couple’s assorted interests around them in the artwork, including their wee doggies!